Carl Icahn, whose 11 percent ownership of Take-Two Interactive was by itself enough to restart buyout chatter, has grabbed another one million shares of the publisher according to a securities filing last week. Icahn's enlarged stake, to 12 percent, comes a week after "shareholder pressure" forced a shakeup in the Take-Two board, notes GamesIndustry.biz. Although board chairman Strauss Zelnick denied that three board members deciding not to seek another term had nothing to do with Icahn, he is seen as being influential in the process. 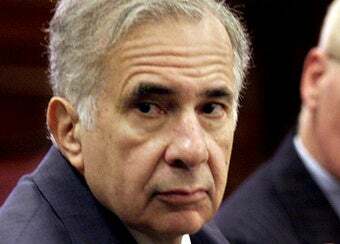 Icahn is well known for buying substantial stakes in sagging companies and then using that leverage to force changes that boost the stock price. Reports say Icahn will support Take-Two's five nominees for the board and, if three proposed by Icahn are elected and his stake falls below 5 percent, those directors will quit. That said, the board change could possibly change Take-Two's tone regarding buyout offers, should one come its way in the coming year.